Experience quad flying in a whole new way with UDI's Lark FPV! FPV stands for 'First Person View' and just like in a video game it means you see the action as it happens from onboard the quadcopter itself. A micro camera is built onto the bottom of the body that streams video live to the large colour screen in the middle of the transmitter. 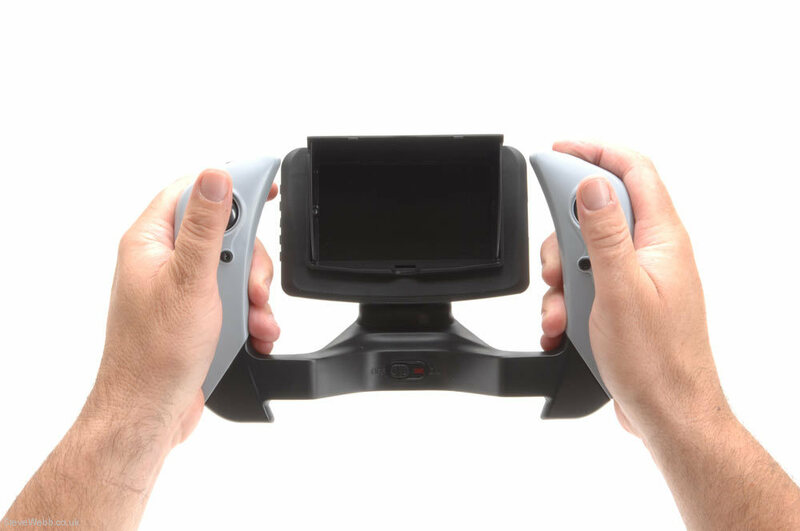 The Transmitter is designed purely for FPV and is comfortable to hold with sticks on either side of the screen that work in same way as other UDI quadcopters. 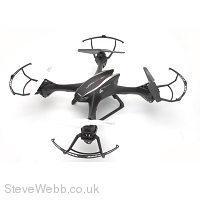 The quadcopter itself has a stylish tough moulded plastic body that not only to looks good but also helps to protect the electronic components from damage. Despite it's size it is no more tricky to fly than any of UDI's other small quads thanks to a clever 6-axis gyro to keep it stable. The battery is easily changeable thanks to a removable battery tray so you can take a few spares (available separately) with you wherever you fly! 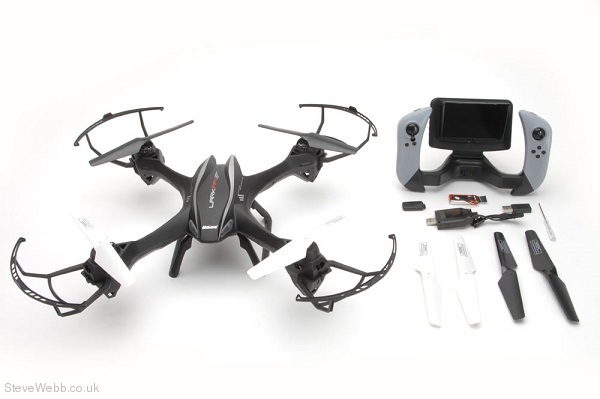 Supplied with everything you need complete including the quadcopter itself, removable guards, the FPV 2.4GHz transmitter, Li-Po battery, USB charger and spare propellers. Note: Take care when flying FPV, check out this guide from the BMFA on how to have fun safely. Large 4.3" screen built right into the transmitter! LED Lights for evening flying!